Steve to Skull: I beg your pardon? - Happy's "You're alone now"
What if... something happens to Tony in Endgame? And part of Far From Home is Peter trying to recover after yet another loss? I'll never be able to stop agonizing over the possibility until the movies come out. && although we know that most characters make it back after Endgame, it was a nice confirmation to see some well and alive, seeing as both Fury and Peter (and who knows how many other spiderman characters) dusted. Yeah, it's pretty clear that a lot, if not all, of the characters who were dusted are coming back for more movies they have scheduled. I'm just afraid for 1) the characters who are still alive, and 2) the characters who died but not because of the Snap. Because who knows what might happen to seal their fates in Endgame. I'll definitely need to stock up on my tissues. To be honest I don't even know what to think with Tony maybe dying, it probably does happen but I think its weird how that kid who hates Peter just casually mentions how that the guy at the ending, (Mysterio,) is like Iron Man and Thor mixed together. But I really love how Aunt May is now the person who's making a big deal about him being a hero and stuff and Peter's just like "I wanna be normal at least for a bit." I thought the comparison was because of looks. Because Mysterio has a cape like Thor and metal armor like Iron Man. 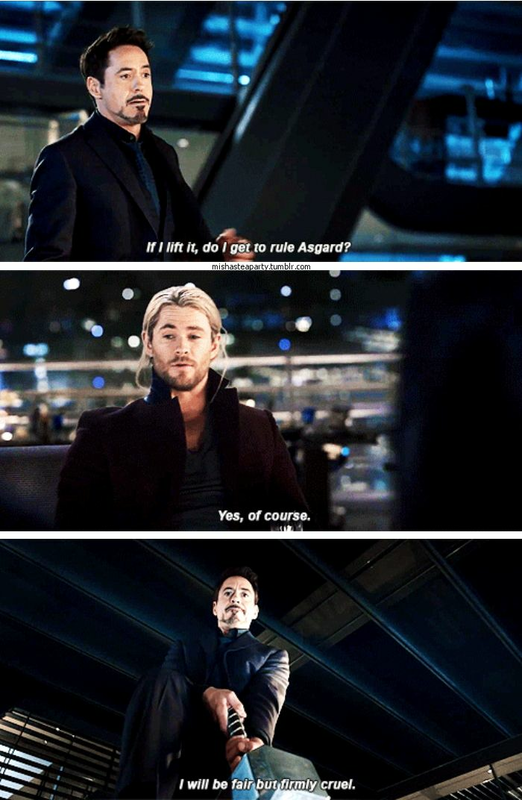 And if we wanted to take powers into account too then he would also be like Loki and/or Doctor Strange because of the illusions and mystical green smoke stuff. I also had a random idea that maybe his fishbowl helmet is actually a gas mask to protect himself from the green smoke that's actually poisonous/hallucinogenic gas. Imagine him spraying that stuff everywhere and making everyone around think they're watching him fight a bunch of giant elemental monsters.